Many studies have shown that there are significant racial disparities in the application of death penalties. 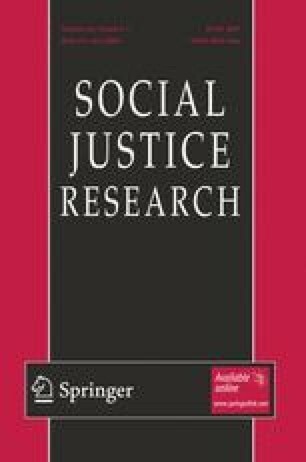 In this paper, three studies (N = 484, 94% female), conducted in France, test and explore why racial prejudice and support for the death penalty (SDP) are strongly and positively related. First, prejudice against Arabs remains a significant predictor of SDP, even when ethnocentrism/authoritarianism (Study 1) and Right-Wing Authoritarianism (RWA; Study 2) are statistically controlled. Second, the attribution of criminal traits to Arabs (Study 1) or criminality-based prejudice (Studies 2 and 3) significantly mediates the relationship between racial prejudice and SDP. Finally, a path analysis illustrates that two relatively independent processes could explain the relationship between prejudice towards Arabs and SDP: criminality-based prejudice leading to specific SDP for Arabs and Social Dominance Orientation (Study 3). Together, these results provide support for the racist punitive bias hypothesis. When racist people think about questions of crime and punishment, they frame the issue in racial terms, leading them to support a punitive law which in their minds will mainly punish minority racial groups. The author wish to sincerely thank John Jost for his very helpful editorial assistance, three anonymous reviewers and Michelle Caron for useful comments on a previous version of this article.